Wipe clean chairs are the choice of many in the public sector industry, from doctors surgeries, waiting rooms and factory settings they're an ideal solution to practical office chairs which can be cleaned without damaging the seating and keeping the setting clean. The Polly is our polypropylene stackable chair available in black or blue. It offers a strong and st..
Ice Vinyl Stacking Chairs Conference Meeting Chairs Stackable to 12 chairs high Available..
Taurus Plastic Stacking Chair Available in Blue or Black Plastic Meeting Conference Chair ..
Taurus Wooden Conference Chairs Beech Seat & Back Meeting Conference Chairs Stylish and..
Strata Heavy Duty Polypropylene Visitor Guest ChairSuitable for any environment due to the robust po.. The Peak Stackable Arm Chair is our new hard wearing plastic arm chair, it is suitable for both..
A fully versatile multi use stacking chair that offers unique design with chrome tubing frame and a.. The Viceroy 2 leather chair is our chair suitable to every office environment. The Viceroy 2 is our ..
Chester is a range of seating which can complement any café, dining or breakout area. These cha.. This Tornado is our versatile polypropylene shell chair with a chrome frame, suitable for any envir.. The Ergo Blaster is ideal for industrial use, it is available with black or white PU upholstery maki.. Contemporary high-rise counter/draughtsman's stoolSilver ergonomic contoured seat constructed in pol.. Contemporary high-tek, high rise counter chair Ergonomic contoured silver seat constructed in pol..
Chester is a range of seating which can complement any café or dining area. These chairs feature a..
Chester is a range of seating which can complement any café, dining or office chair. These chai..
Skid Frame Stacking ChairIdeal for use in conference, meeting rooms, or as a bistro chair.Featuring .. The Rome skid is our versatile polypropylene easy clean chair with a chrome skid frame, suitable fo.. Durable easy clean soft polyurethane seat Gas lift seat height adjustment Sturdy nylon 5 star .. The Twilight is our black polypropylene visitor chair complimented by a silver frame. It is stackabl.. This Adapt is our versatile polypropylene easy clean shell chair with a chrome frame, suitable for .. This Ariel 4 leg chair is a practical, attractive and durable chair that will brighten any space. A.. The Remix features a classic chair design ideal for waiting areas or cafe and bistro areas. It is av.. The Florence sidechair is our black polypropylene armchair. It is available with either a black or .. The Ergo Blaster Draughter Chair is our medium back draughting chair which includes the ring kit con.. The sherbet is a polypropylene stacking chair which is ideal for the meeting, conference or c.. The Burner Wipe Clean Operator Chair has a cushioned polyurethane seat and back can be washed or ste.. The Twirl is a high density plastic stacking chair which is perfect for the conference area. The ch..
Draughting or counter work chair Easy clean polyurethane seat Gas lift seat height adjustment .. The Florence armchair is our black polypropylene armchair. It is available with either a black or c.. The Pop 4 legged chrome base with plastic seat bistro chair is available in black, grey and white. .. The Pop cantilever chrome base with plastic seat bistro chair is available in black, grey and white..
Burnley Draughtsman Chair Black Polyurethane seat and back can be washed or steam cleaned .. This Adapt is our versatile polypropylene high easy clean shell chair with a chrome frame, suitable.. The Twix is a robust and good looking meeting or visitor chair. This chair is well designed and has.. The Pop pyramid chrome base with plastic seat bistro chair is available in black, grey and white. H.. The Pop wood base with plastic seat bistro chair is available in black, grey and white. However ca.. The Peanut plastic chair with wooden legs is a simple yet comfortable wipe clean chair. 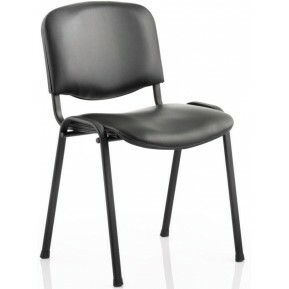 It i..
Super large operator executive chair Available in black PU leatherAvailable with no arms or wit.. The Remix features a classic stool design ideal for cafe, bar and bistro areas. It is available in a.. The Unison is our practical and stylish, strong and durable seating solution ideal for use in meeti.. 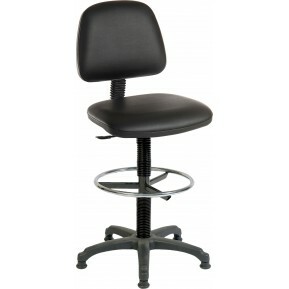 The Support Stool is ideal for use in industrial environments. It offers a wipe clean, durable polyu..
A design led visitor chair has universal appeal as a reception, meeting and conference chair w..
Mexborough Draughtsman Chair Polyurethane seat and back can be washed or steam cleaned Id..